We needed three days to complete our July agenda. Several difficult issues prompted a lot of community involvement: one was complicated with no clear “right” answer; one was somewhat misunderstood; one was, in part, a County-created problem. After all of the conversation and engagement, I think we all understood these issues better in the end. 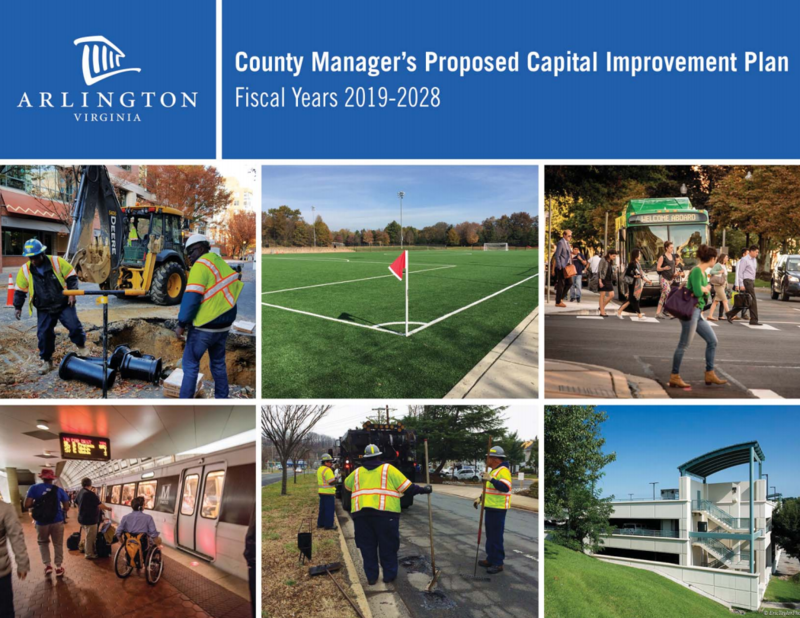 The 2019-2028 Capital Improvement Program (CIP) was the major item on our July agenda, but perhaps the least complicated. The 10-year CIP determines what projects we will fund over the next two years and for what bond referenda residents will vote in November. Beyond that, the CIP is a guide for the following 8 years. As Christian Dorsey put it, “The CIP is a two-year planning document and an eight-year math exercise.” We held a number of work sessions, but did not change the Manager’s recommendation. State legislation required Arlington to redirect $230M from local and regional projects to Metro. That and the need for more school buildings made this a very constrained CIP. We could maintain what facilities we have and fund major commitments, but had little left for anything more. Our Neighborhood Conservation (NC) program prompted the most concern. NC tasks residents with selecting neighborhood infrastructure projects for funding. With 30 NC projects awaiting funding, the Manager cut NC from $60M in the last CIP to $36M over the 10 years in this one. The Board did add $1M, which had become available from the State, but clearly we need to take a good look at the program and how to adapt it to current conditions. The Board voted to establish a working group to look at the NC program and to make recommendations for how it can best continue. The group should report by September ’19. Real Estate Tax Relief for the Elderly was complicated. We advertised options for changes to the program in June, and discussed and passed the originally recommended changes in July. The main issue was whether tax relief for seniors should defer taxes or forgive them entirely. We advertised several options, but in the end took the recommendations of the working group, which had been somewhat split about deferral versus forgiveness. Over the past month we learned of likely unintended consequences of a deferral-only program, which made it hard to be sure what would happen if we went to that option. So, we maintained both deferrals and tax forgiveness in the program. This program affects a small number of poor, elderly residents and their families, and its impact on our overall budget should be small. We incorporated a number of changes that allow flexibility in deadlines for extraordinary hardship situations, and we made it easier for seniors to understand and to apply for it. Because it was so clear that numbers alone do not tell the full story, the Board asked for an annual report and for a record of how each case concludes so we can better understand the effects of the program in the future. 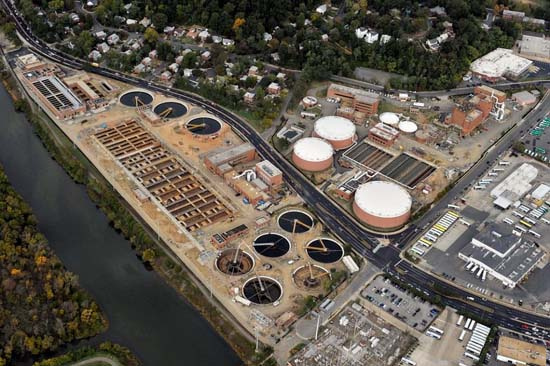 We adopted the Water Pollution Control Plant Solids Master Plan. A number of residents near the plant were concerned that the plan was not efficient, and they preferred for us to use capacity in nearby plants to treat our solids, rather than building capacity ourselves. They were also concerned about ozone emissions. Many people also thought that this was the final vote on how we would handle solids. Listening to concerns and in discussion with our staff, it became clear that the Plan is a work in progress and no final decisions will be made for about 2 years. Our staff will use this time to study options and the latest methods, and to talk with other jurisdictions about possible partnerships. As I said in my concluding remarks, this month’s action is just the beginning of our community engagement and decision process. 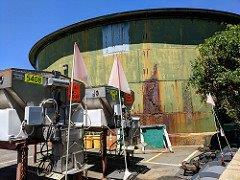 The deteriorating salt dome was the most difficult issue for July. This was a failure of our staff and the kind of problem anyone in public service dreads. Our Manager accepted blame for the difficult situation before the public comment on Tuesday. In sum, the old water tank that holds road salt for winter months was built in the 1930’s and has needed replacement for some time. Repairs were done 6 years ago which would keep it going another 5 years. Unfortunately, our staff did not really check its condition until this spring, and they determined last month that it was no longer usable and could not be repaired. Suddenly a problem we should have prepared for long ago became an emergency. We have to have enough salt for road safety this winter. Last Wednesday, we questioned staff at length about options. None are good. In the end we advertised a rezoning that will allow a temporary structure to house road salt next to the current salt dome. In September, we will vote on the rezoning and work on setting a timeline for planning the entire site to include a permanent structure for salt storage and a park. Meanwhile, staff will prepare the site and try to minimize tree removal. Lastly, on a happier note, August 25th will be the 5th annual Kennan Garvey Memorial Ride for Phoenix Bikes. I hope you will join me in supporting this great, little non-profit. You can ride, volunteer to help, or donate to support a rider. The ride is on the W&OD Trail out to Purcellville and back, or any portion thereof. All ages are welcome. Last year my 3-year-old grandson was the youngest rider (on the back of his mother’s bike). I’m signed up to ride (and would love donations), but probably won’t actually be able to get on my bike. My new knee is ALMOST able to bend enough to pedal, but not quite. Next year for sure! I hope to see you there. The Board takes a break now from monthly meetings, so my next report will be in September, but I’m happy to hear from my readers anytime with comments or questions. I wish everyone a safe and happy summer.